Are you unsure of your major? Wondering what jobs you can get with that degree? Not sure what career would be a good fit for you? 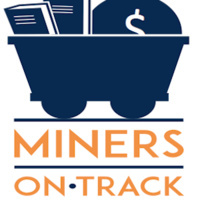 Then the Miners on Track Workshop is for you! Identify their passions and strengths. Discover how their strengths can help them address challenges and obstacles. Learn how to take advantage of the opportunities available to them. Understand how their interests and strengths can guide them in the selection of their major and career path. Upon completion of the workshop, students will have taken the initial steps to develop a strategic career plan. Additionally, they will have networked with a faculty member, peer mentor, and other students from their college who can provide additional support beyond the workshop.